Catheter ablation helped this active dad continue living life to the fullest. At age 18 during a senior class trip to South Padre Island. Alcohol and weight loss supplement with ephedrine. A continuing irregular heartbeat may damage his heart and increase the chance of stroke. Found that catheter ablation would allow resuming his active lifestyle. In 2008, at age 35, from catheter ablation and a touch-up. Runs daily, plays basketball, and no longer worries about afib. Each morning, Jason Mattingly jogs three miles in his Dallas neighborhood. During the week, he's an on-the-go sales manager for a national home security company, and on weekends, he enjoys time with his family and plays full-court basketball in his church league. Yet, when he was only 34 years old, he was diagnosed with atrial fibrillation. As he looks back at his heart health, he believes his first irregular heartbeat came during a high school senior trip to South Padre Island. He was about to turn 18 and had an unfortunate run-in with a plate-glass window. "Never get in a fight with a plate-glass window," Jason jokes. "I bled a lot and after I returned from the hospital, I realized I had my first full-blown panic attack — with that came the irregular heartbeats. I have since learned that panic attacks beget afib, and then afib can exacerbate panic attacks." Through his 20s, Jason dealt with the panic disorder and attributed his racing heart to that condition. However, he recalls times when he didn't feel anxious yet his heart still beat erratically. "Sometimes at night, my heart would pound so hard that I couldn't get to sleep," Jason says. "I had to put a pillow over my rib cage to muffle the sound." Jason didn't experience dizziness or the energy-zapping effects of afib. His only symptom was the palpitations. So, he ignored it for years. During a routine physical when he was 34 years old, Jason mentioned his heart palpitations. His family doctor immediately ordered an EKG. Right there in the office, Jason had an occurrence of atrial fibrillation. Jason thought he knew the cause: For a few months, he took a weight-loss supplement containing ephedrine. "This was before that crap was banned and I didn't know that I was doing my heart a disservice," Jason says. 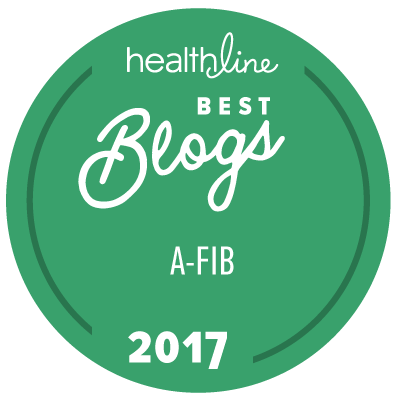 "My guess is because of earlier irregular heartbeats, this supplement may have set me into my earliest bouts of afib." Jason soon saw a cardiologist who conducted all the standard testing, such as a Holter monitor, ultrasound and stress test. However, the results showed that Jason's heart was structurally normal, and the monitor didn't capture any arrhythmia. Perplexed, Jason attributed the irregular heartbeats to the weight loss supplement and promptly quit taking it. A year later, though, his heart still revved and sputtered like a poorly tuned lawnmower engine. "At night before bed, my wife would listen to my chest and say it's beating funny," Jason says. After another visit to his family doctor, he was referred to a different cardiologist. This time, Jason wore an event monitor for two weeks. The longer monitoring confirmed the diagnosis: At 35 years old, Jason had persistent afib. The young, active father who often ran every day was shocked by the diagnosis. His doctor prescribed digoxin to slow his heart's rhythm. But Jason knew he wanted to find a better, permanent solution. "With two little kids and another on the way, I was freaking out a little bit," Jason remembers. "Fortunately, I found an online Yahoo support group and the folks there talked me down." "I'm a type-A personality, so I wanted to take the bull by the horns," Jason says about his early research into the treatment options. "I looked at my situation: I'm a young guy with little kids. I don't like medication and don't want to be someone who stays on meds my whole life. So, if there's a fix, I want to go for it." Jason knew that afib could remodel the heart, possibly causing heart failure or a stroke. He intensely researched treatments. He considered several options, including Maze procedures. "Many people have had success with the mini maze procedure, but I was looking more to catheter ablation," Jason says. When patients undergo catheter ablation, a catheter is threaded through a large vein going to the heart from the arm, upper leg or neck. Then, the catheter targets the abnormal tissue, scarring it and resetting the heart to a normal rhythm. "I decided on the catheter ablation because it is less invasive, with less down time," Jason says. "I really thought long and hard about this decision and prayed about it." Seek out an electrophysiologist (EP). They specialize in the electrical wiring of the heart and are often up to speed on the most advanced, non-invasive procedures. Immerse yourself in data. Look for physicians and facilities that have a track record of doing many successful procedures. Be persistent with questions. Go to a doctor's visit with a list of questions and be sure your doctor answers every one of them. Jason's own research led him to Dr. Andrea Natale in San Francisco. "Luckily, Dr. Natale is in-network," Jason says with a laugh. Jason then planned his catheter ablation procedure much the same way he'd plan a business trip. In February of 2008, Jason, his wife Michele, and six-month-old son Evan, traveled to San Francisco. The first day there was Wednesday, and they consulted with Dr. Natale. On Thursday, Jason had the catheter ablation, and on Friday he was discharged with his heart beating in a normal rhythm. "I knew there was about a 30 percent chance that I may need to have a touch up procedure done," Jason says. About three months after his procedure, Jason was in the middle of a business presentation and he began to feel dizzy and lightheaded. He also sensed that his heart was going in and out of arrhythmia. The bad news: His heartbeat had reorganized into atrial flutter. After six months of the fluttering heart, he decided on a touch-up catheter ablation procedure, and in December 2008, Dr. Natale performed the procedure. Beforehand, Jason and his wife shared a meal, raised a toast and knocked on wood that the touch-up would cure his afib. Three months before the touch-up procedure, he was taking Coumadin® as a blood thinner to prevent a stroke. But since the day after the surgery, he's been off all medication — except for adult strength aspirin. "I'm cautiously optimistic," Jason says almost two years after his touch-up ablation. Since his cure, he's become very passionate about sharing his afib experiences. His story has even appeared in Reader's Digest. "It has become a personal passion," Jason says. "I know what it's like to fear that life is over, and I want to make the younger people with afib feel better." Jason believes he endured afib for a greater cause. "I want to pay it forward, like others have done for me," Jason says. "Maybe the grand plan is for me to become a beacon of hope for others." Recently, Jason's seven-year-old son Aidan read that account of his father's surgery in Reader's Digest. Aidan asked his father about his procedure. Jason says, "I told him I had a problem with my heart beating funny. Now, I'm fixed and don't have to worry any more — and neither should you."